Last night was a little different to my usual Monday evenings. 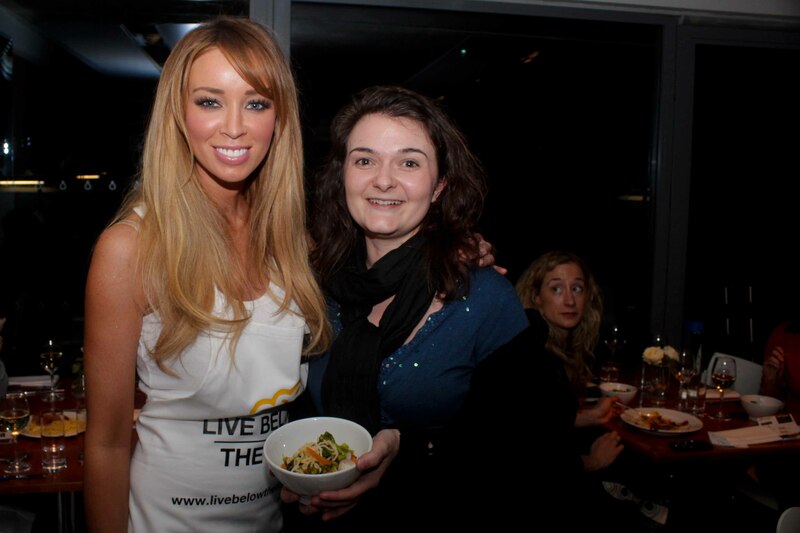 I attended the TOWIE cook off for Live Below the Line for Christian Aid and it was great! I’d only seen a few episodes of The Only Way Is Essex but I was pleasantly surprised by the TOWIE cast who turned up. Lauren Goodger and Peri Sinclair along with Frankie Essex and Lauren Pope took part in a Live Below the Line cook off. They were in two teams and with the help of Lloyd Johnson, who started his career with Jamie Oliver’s apprenticeship scheme at Fifteen, they cooked us two really nice meals. Much nicer than what I cooked last year when taking part in the challenge for Christian Aid – http://wp.me/s1sdbX-125. They appeared with immaculate hair and makeup ready for the 30 or so photographers that were there. The girls really got involved and played the game cooking meals for over 60 people whilst looking great for the paparazzi. After the 15 minute cook off everyone sat down to a meal of spaghetti meatballs and vegetable stir fry. 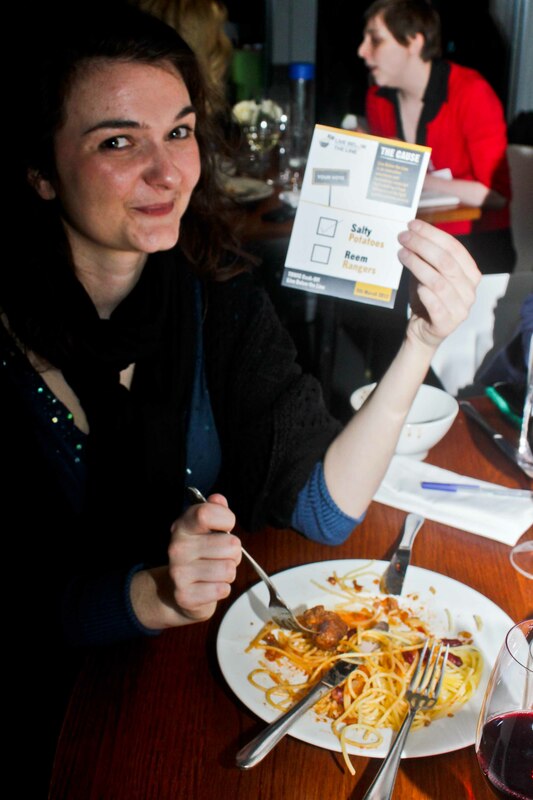 We were then asked to vote and the meatballs cooked by Lauren Goodger and Peri Sinclair won it for me, though the vegetable stir fry was pretty good. If any of you out there are interested in taking part in the challenge please check out http://bit.ly/wcyMG3 or you can always email me if you want to find out more. Mel! You look great 🙂 What a fantastic evening! !